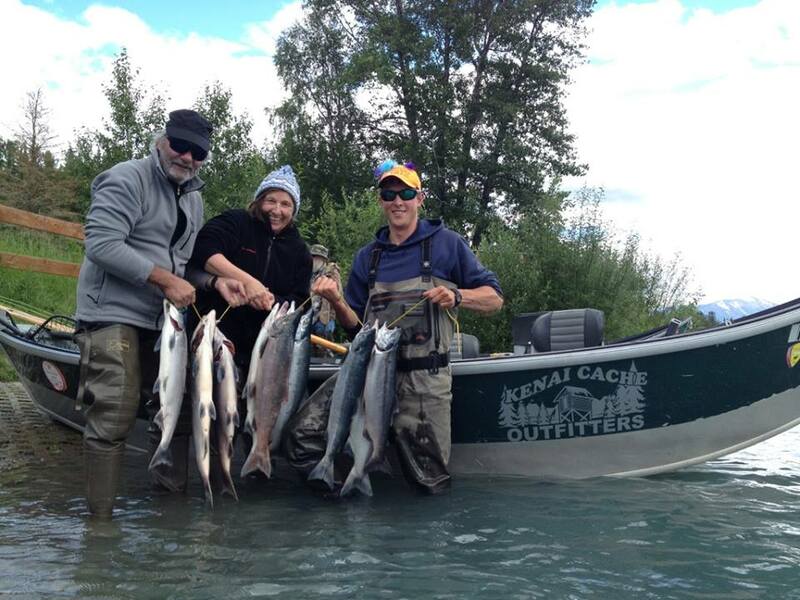 Experienced and Passionate local fishing guides that know the waters and have thousands of hours fishing on the Kenai River AlaskaLate model drift boat fleet to provide you with a quality and safe experience you deserve. Premium transfer service to get you to and from the launch location in comfort and class. Top of the line fishing gear employing Sage Rods, Sage reels and Rio Premium fly line. We go to this expense to ensure our clients don’t lose a fish of a lifetime due to poor equipment. The better equipment also facilitates better presentation and hook setting and a silky smooth drag for those hard fighting fish. Safety first oriented fishing guides with each boat outfitted with all the essential emergency equipment required for a safe trip such as a spare oar, an emergency bag with more then all then the essentials, and high quality Coast guard approved, life vest.